ENERGETIX Catalogue Launch 2015 / Berlin: Photos and film – impressions of the mega event! 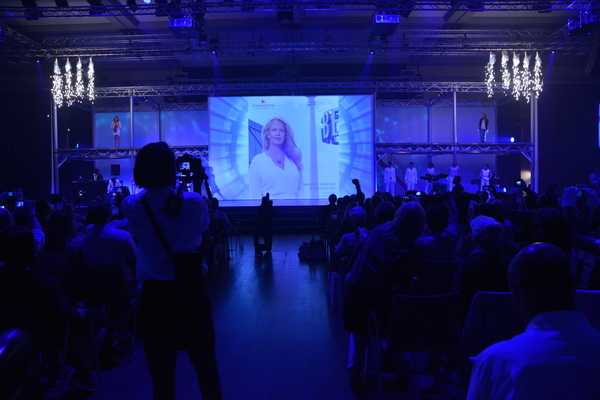 The sensation was perfect when the 2016 catalogue was revealed and Barbara Schöneberger, who was hosting the Launch, looked out at us from the cover! Germany’s most popular TV presenter and (besides Joey Kelly 🙂 ) the ENERGETIX business partners’ favourite will be accompanying them in their day-to-day activities throughout the new business year because she’s now the very charming face of the four new trend categories in the freshly printed catalogue. If that isn’t good news for ENERGETIX business partners! Many participants are still in Berlin and are just leaving for home (they gathered in the city from 23 countries to celebrate the new collection!) … but we’ve already put together the best photos and an atmospheric short film of the Catalogue Launch directly from Berlin! 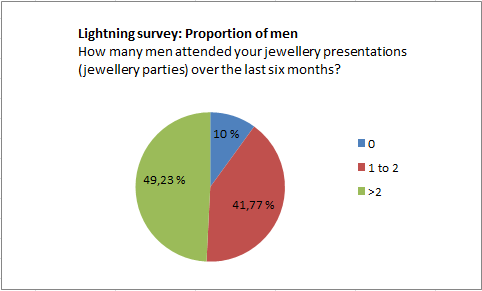 Just on 50% of those who responded said that “more than two” of the guests at their jewellery presentations were male! A good 40% said that one to two men took part and only 10% said that no men had been present at their jewellery presentations over the last six months. This interesting result shows that – in contrast to general assumptions – men do take part in jewellery presentations. They therefore represent a good opportunity to talk to men about our products and the ENERGETIX business idea! Thanks to all business partners who responded to the on-line survey! We wish you lots of continued success! 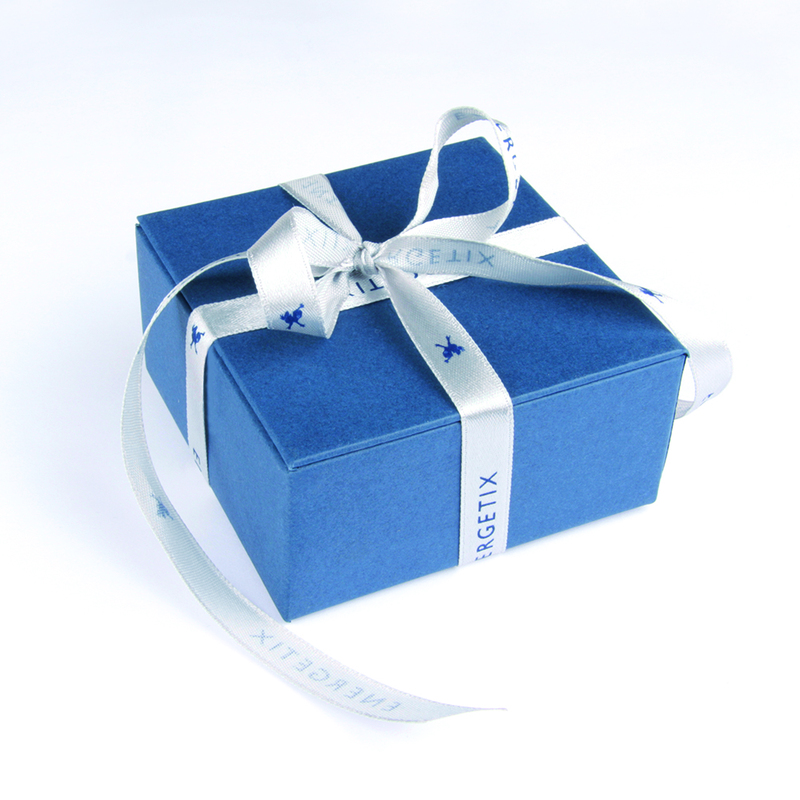 We now know who the winner of the jewellery set worth 100 euros is: we congratulate Elke Hannes, our business partner in Florstadt (Germany)! We’ll be revealing the highly anticipated results of the on-line survey here on FROGBLOG over the coming days.